They say it takes a village to raise kids. When trying for and planning for kids I never imagined my village would include so many medical professionals. I also could not have pictured a group of women, most of which I have never met, who I would feel so connected with and who would play such a big part in my support system. This group of women who call themselves Rockin Moms. One day while sitting in the NICU I posted in a Facebook preemie group about how lonely the NICU journey could be and doubly for a parent with not only a very premature baby, but with a baby who also happens to have Down syndrome. I was about to receive my first lesson on just how not lonely it was. 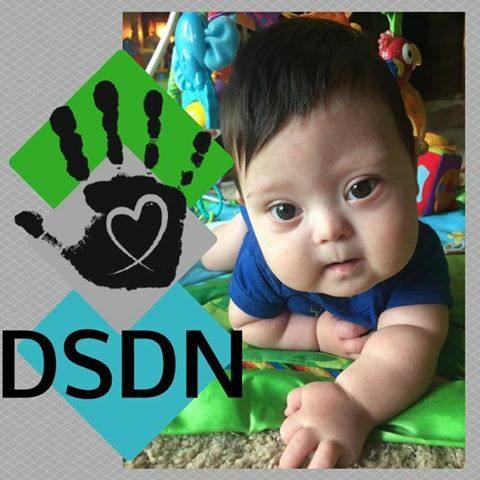 A mother told me about the organization called DSDN (Down Syndrome Diagnosis Network) who has these Facebook groups. The full name of the group is Mothers of a child Rockin an extra chromosome. Groups and group members commonly referred to as Rockin Moms. By the end of the day I was a part of a community of moms that would walk this journey with me. We all walk the same journey but have different paths: Some of us celebrate milestones earlier in the developmental timeline, more closely resembling the timeline of a typically developing child. Some of us wait a longer time for their child's milestone celebrations. Some of us know what it's like to hand our baby for heart surgery where they will become a member of the zipper club. Some blow us away with their child's sign language and communication skills. Our kids are as varied and unique as the moms who make up these groups. We are all different but we all have one thing uniquely in common; we have fallen in love with an extra chromosome. DSDN, it is an organization that I believe in and that I believe in so much that I celebrate when I get the opportunity to refer others parents to the amazing support groups. Some of us laugh about how excited we get when we meet a parent and we get to let them in on the secret about DSDN. With every parent that I direct to DSDN I let them know; your family is about to get much bigger. I have gone from the feeling of loneliness to my fellow Rockin families filling up my Facebook feed. The 21st chromosome may be the smallest chromosome in the human body but it is my experience that it can also create the biggest bonds. It does take a village and I'm thankful for each Rockin Mom that is a part of mine. Please like or share as it help keep the post active.